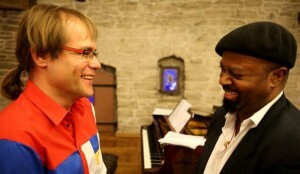 At the last concert of the second season of the series HELIjaKEEL, the focus is on the works of Estonian composer Timo Steiner and Nigerian writer Ben Okri. Concert events called The Accompaniment of Life take place on 31 May at 8:30 p.m. in Hopner building, Tallinn and 2 June at 7 p.m. in the assembly hall of Tartu University. 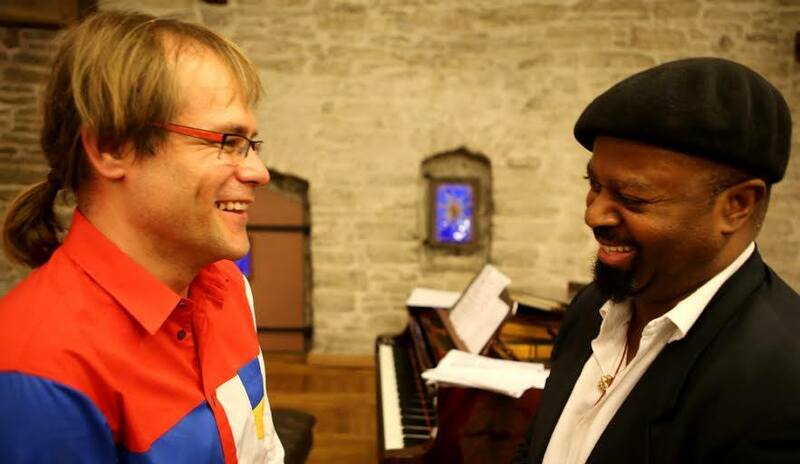 After the concert, there will be a presentation of Ben Okri’s poetry collection An African Elegy. The title piece of this concert of the HELIjaKEEL series, The Accompaniment of Life is a new genre in the world of music – Life accompanied by instruments, something in between an observation of life and a piece of music. The first one in this genre features a string quartet as instruments, and as the representatives of Life – children, who are the most dynamic carriers of it. Therefore, this piece (observation?) could also be called an orchestral score made of children. Children are like scurrying notes for musicians, out of them the majority of music, the sounds of life are derived. Nigerian-born Ben Okri is one of the most recognized and accomplished contemporary African writers, who has been awarded many reputable prizes (Booker prize among them, which he received in 1991 for his novel The Famished Road). His creation has sometimes been categorized as magical realism, although the author has disputed this, stating that for him, reality has several layers which cannot be separated from each other – the realms of spirits and people, dreams and being awake are all parts of a whole. Aside from mysticism, the works of Okri do not lack political undertones nor the influence of African oral tradition. Currently, Ben Okri resides in London, where he emigrated in his youth, as he had fallen into political disfavor in his native land. This spring, the eminent writer visits Estonia for the first time. Timo Steiner is one of the most versatile creative persons active in the Estonian cultural scene. He is a composer with an academic education; one of the initiators of the Autumn Festival of the Estonian Academy of Music and Theatre, and, starting from 2003, an artistic director of Estonian Music Days. In 1998, Timo Steiner won the competition for guitar pieces of Estonian Music Days, in 2002 he received Heino Eller Music Award and in 2006 and 2011 Annual Prizes of the Endowment for Music of the Cultural Endowment of Estonia. Timo Steiner is the headmaster of Tallinn Music High School since 2005. He is also one of the authors of the programme format of Klassikatähed of Estonian Television (TV competition Classical Stars) and the author and host of TV programme MI. Works of Timo Steiner have been performed at several contemporary music festivals in Estonia and worldwide. He has created film music, for Klass (2007) among others, as well as music for TV programmes OP, Pealtnägija etc. Timo Steiner’s album The Clouds Will Disturb (2008) was released by Estonian Public Broadcasting. One of the key characteristics of Timo Steiner’s music is dreamlike post-minimalism: poetic and naïve, dramatic and grotesque imagery, graceful rhythm patterns and playful stylistic contrasts. Concert series HELIjaKEEL started in the autumn of 2012. While in its first season, composers and writers were connected by family ties, then in this season, the link between sound and language is formed by creative closeness and an ability to mutually inspire. The last concert of the season takes place in cooperation with European Commission, The XXXIII Tallinn Old Town Days and literary festival HeadRead.